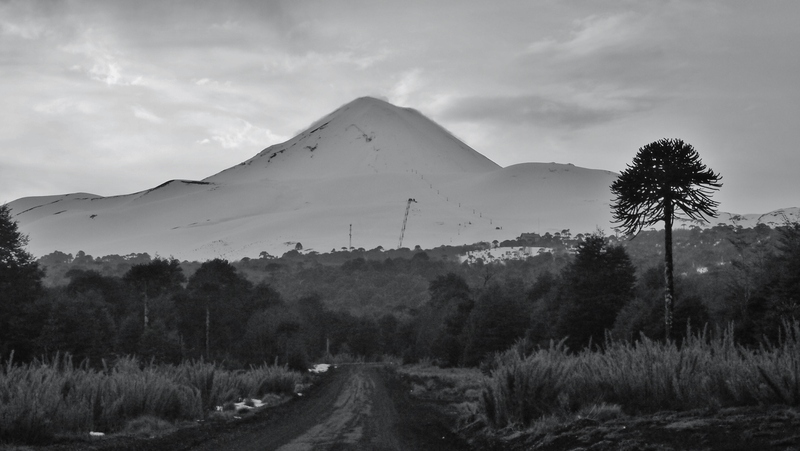 Volcano Llaima is in the Conguillío National Park in the middle of Chile, this is one of the more active volcanoes we skied/boarded, it last erupted in 2010…….that was just a couple of years ago, and it erupted again 2 years before that. Had I known quite how active it was and that it was due an eruption I would have been a little more anxious, but I didn’t so I was in blissful ignorance. 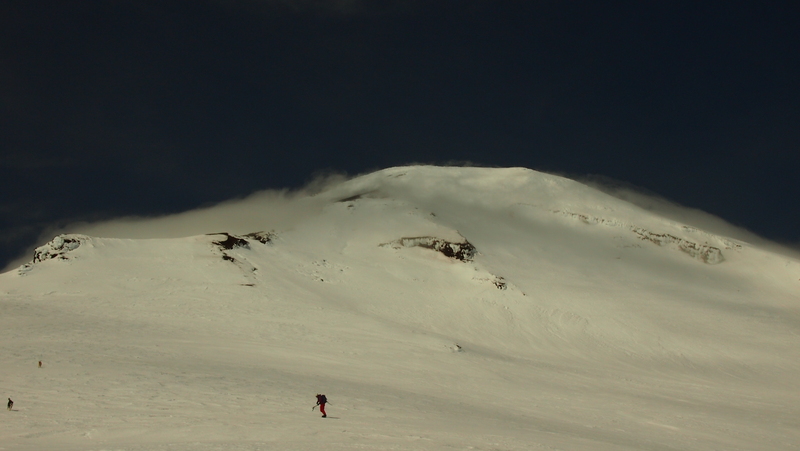 Probably the best state when snow boarding volcanoes. Llaima has the Las Araucarias Ski Center at its base, a slightly more interesting area than some. We camped on the access road in our Wicked Campervan overnight in dense forest of Coihue trees, witnessing a stunning sunset in the process. The next morning we wake early and head up to the base area. We pull along side a fancy 4×4 camper and two Germans outside. True to style the Germans have beaten us to the start. They are pretty unfriendly and have no chat for us. It almost seems there is a competitive edge as we both rush to get ready. They set off before us with a few random stray dogs in tow. The resort has some more interesting terrain and a decent vertical drop, but was closed when we arrived, snow was thin. The weather was good though. We climbed next to the piste and saw the huge bulk of the volcano rise before us. At this point the stray dogs following the Germans ran back and the 4 of them proceeded to follow us all the way up to where we fitted crampons to climb! There are 2 routes, simply; left and right flanks, we went left as it looked less glaciated on the map. It was mixed ice and softer snow. The upper slopes were pretty much blue ice on the verge of unrideable but we progressed with crampons and ice axes. Previous articleIs it going to bad snow year in the European Alps?